Hello SCT friends! Happy Friday! 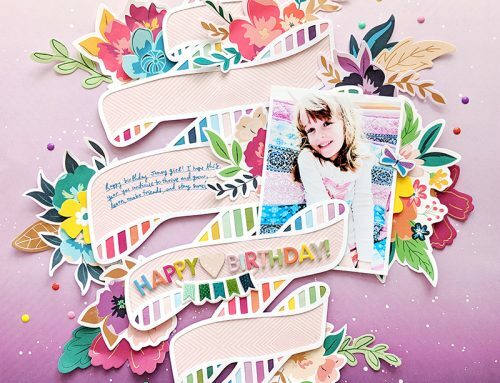 Our friends from Photoplay Paper are celebrating and wanted to do it right here with us and YOU! Ready? Let’s get this Friday party started! “Photoplay Paper is celebrating its 100th collection and nothing could be more perfect than a collection that celebrates our hobby! 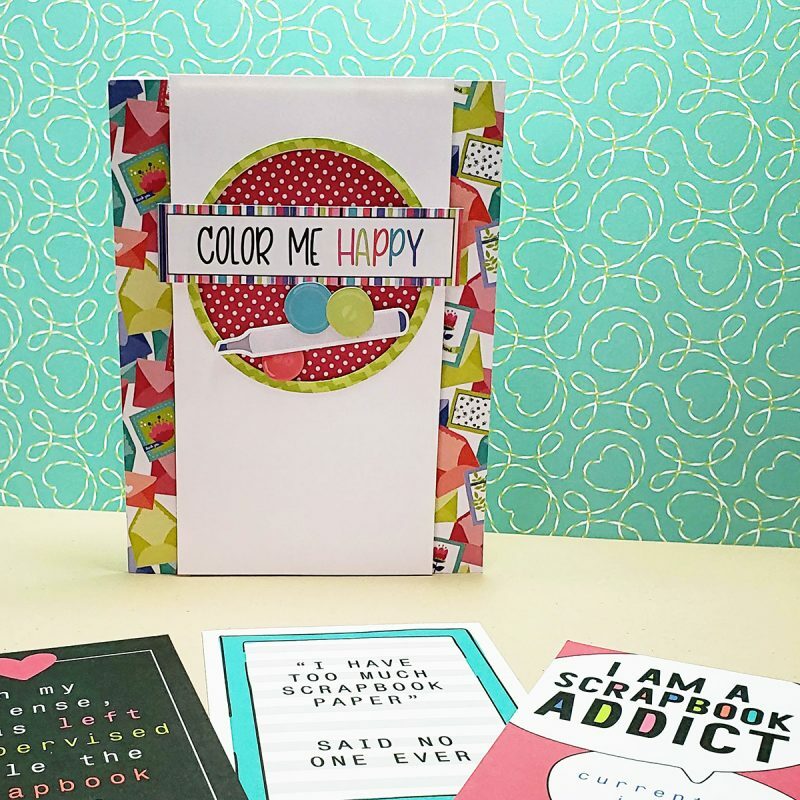 “You Had Me At Paper” is a collaborative collection designed by Shawna Clingerman and Becky Fleck-Moore, filled with colourful icons, patterns, and sentiments that covers everything from scrapbooking to cardmaking. Here are two really fun tunnel cards that feature this new collection. You are also getting a sneak peek at some fantastic new products that will have you making kinetic cards in no time, so stay tuned for those coming out soon! We would love to give away two full collections of You Had Me At Paper to two lucky SCT readers! We’ll draw one winner from this blog post, and another from SCT’s Instagram feed. Be sure to visit Photoplay’s IG channel to double your chances of winning! 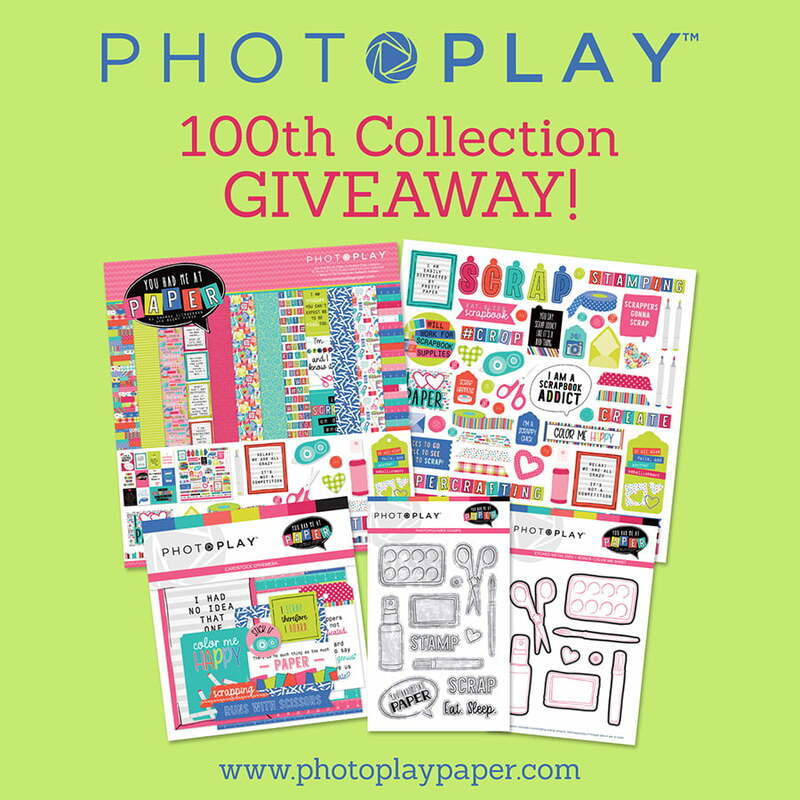 Thank you, Photoplay Paper and congratulations on the release of your 100th collection! We love that you’ve created a collection that celebrates our intense love of paper 🙂 To be entered to win a collection here, be sure to leave a comment below by April 18th. Good luck! 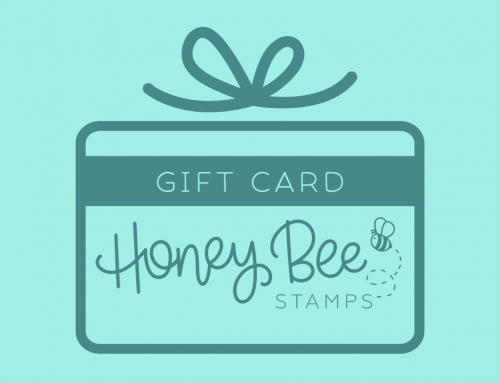 Last week our friends from Honey Bee Stamps offered one lucky reader a $50 gift certificate! The winner of the $50 gift certificate is…. 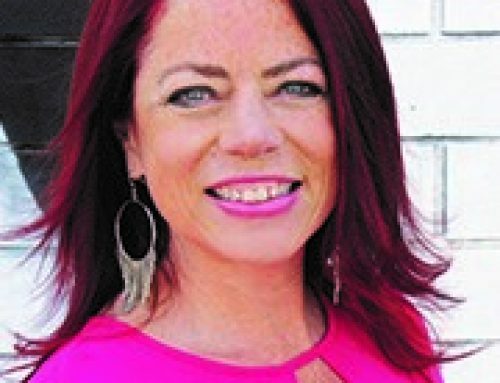 Congratulations, Karen! 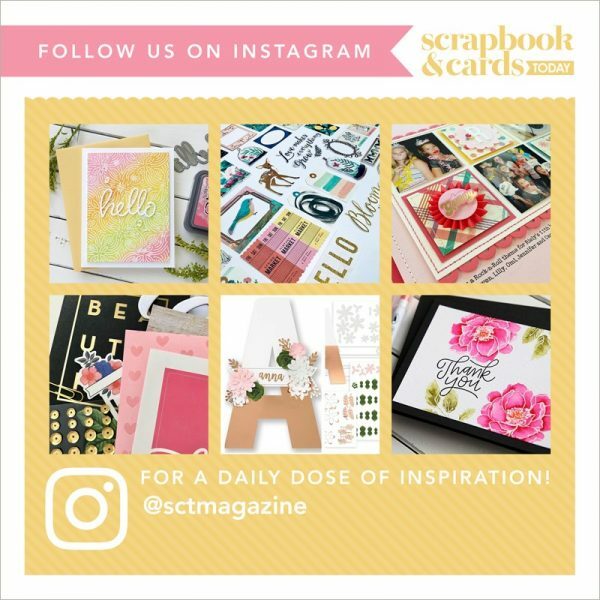 Please send us an email to ideas@scrapbookandcards.com and we’ll get that prize on its way to you! The Photoplay Giveaway Packet seems very pretty and would like a chance to win it. Happy 100th collection release! Congrats, this would certainly be a welcome addition to my stash!! What an awesome giveaway! COngrats Photoplay and your 100th collection! I love iT! Wonderful giveaway! Great assortment for my scrapping needs, Thanks! Love the bright colors and assortment of products! Thanks for a chance to win! 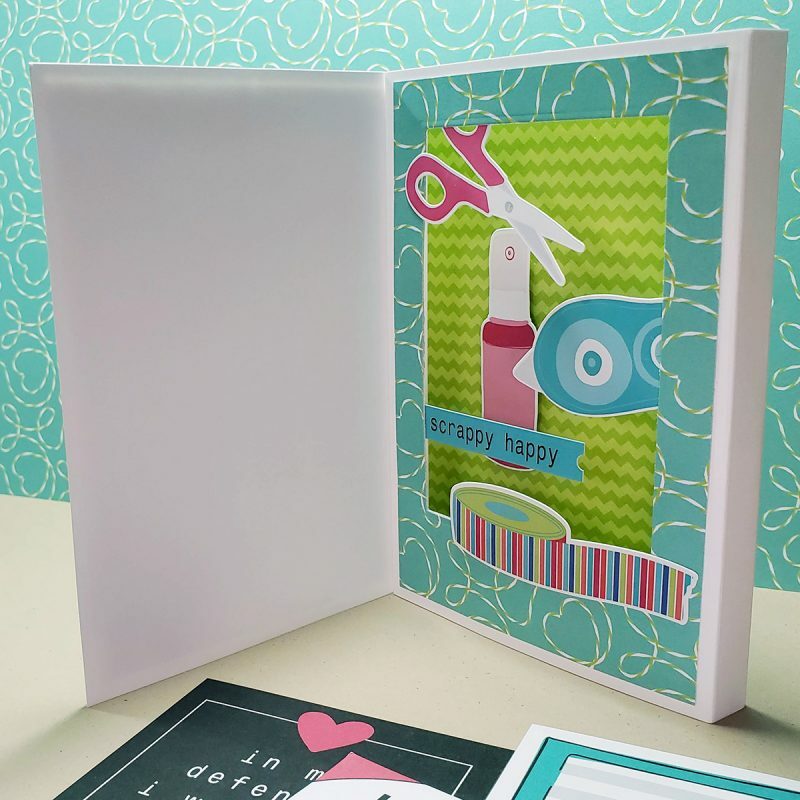 What a great way to celebrate the joy of scrapbooking! Congratulations on your 100th collection, and thanks for the chance to win such an amazing prize! LOVE this paper to use for all the scrapbook crops. Great colors and designs! Such a fun collection! Love those bright colors! I can relate to so many of those quotes!! Love the bright colours and the fun elements of this You Had Me At Paper! This looks like a really nice collection! I don’t have anything Photo Play Paper so would love to win this. Congratulations Photoplay Paper on your 100th paper collection. “You Had me at Paper” looks like a great collection just like so many of your others. It is fun, colorful and versatile. Congratulations with your 100th Collection!! Applauding your 100th collection and what a pretty one it i! Thank you for the generous giveaway; many days of crafting joy coming to a lucky winner! I love this…and I would frame that sign that says I have too much scrapbook paper…said no one ever! Wow, 100 collections! Congratulations Photo Play and thanks for the awesome giveaway!! What a perfect collection to mark the 100th one. Can’t wait to see #200. What an amazing collection for Photoplay’s 100th collection! I have sooooooooooo many photos of my family and friends and I scrapping together. The perfect collection for those photos! This collection will sell out in minutes. We’ll need more PP! So much more. This is so cute! I need this!!! I have been waiting for a collection just like this. I’d love to use it on photos of our Card Club and photos scrapping with my granddaughters. Totally perfect scrappy collection. Congrats to Photo Play! Love your 100th collection! Such fun colors and designs! Perfect for all of my paper creations! Thank you SCT for the chance to win! Congratulations on your 100th collection Photoplay. It’s a great celebration scrapbooking! This new paper collection is adorable–love the crafty theme. Thanks photo play! What a wonderful collection! Thanks for this chance! Congratulations Karen Smee for the lovely Honey Bee prizes. I love Photo Play collections they are always so cute and funny and beautiful. I have used thir paper and embellishments often. Thank you for a chance to win and congratulations on your 100th collection. This is super cool – great designers too! Oh what a wonderful collection of paper. What an awesome collection-thanks for the chance to win! Congratulations to Photoplay for its 100th collection. And what an amazing collection, I love the stamps, have a lot of possibilities!!! and I also really like the ideas with the tunnel cards that you have given! Love, love, love this adorable collection that’s geared for the crafter. So cute. Thanks! Congratulations on the 100th collection, and here’s to 💯 more! This collection is most certainly for all of us! What fun it will be to make cards to brighten each others day and pages to record our creative moments! Fun collection! Congratulations on this wonderful milestone. What a lovely giveaway! I love Photo Play Paper!! thank you! Lovely collection! Congratulations Photo Play! This is such a fun and real life paper collection! I love it, its as if I almost designed it myself! I can see it would be perfect to share all of my goofy-cropping with gal pals-photos!!! What a great collection. I would love to win it. I’ve been wishing for a really complete new collection like this. Way to go Photo Play. Love it. Really awesome and fun set! Love the paper and the cute sayings! I’ve got to have it!! Love this collection! How fun. Congrats on such a great collection for your 100th, Photo Play!!! Congrats Photoplay Paper ! “You Had Me At Paper” what a great collection and I am going to still the name for one of my story book, thanks Shawna and Becky. Just lovely! Photoplay has some really cool collections! I love this one! Congrats on your 100th! Fantastic! I love the letterboard sayings especially. This collection is SO fun! Thanks, Photoplay Paper! 100 collections is seriously impressive! Congratulations! I love that the 100th collection celebrates what it’s made for. Thanks for the chance to win. 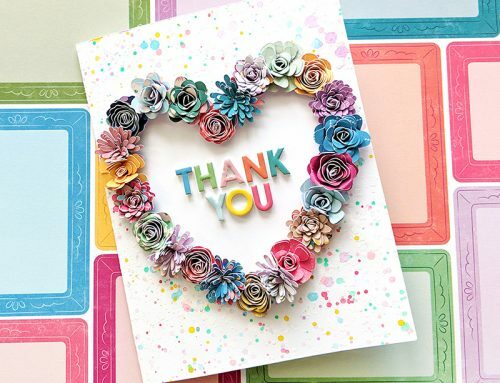 Fantastic collection for a card maker. I see lots of great cards being made with it. Such a fun collection! Love those bright colors and the quotes!! Thanks for the chance to win! Happy 100! Yet another great collection from Photoplay Paper. Awesomness all in one great collection. Congrats on reaching an amazing milestone. Thanks SCT and Photopaper. This is my new “must have”. It’s totally me. I would love to win one, thank you so much for the opportunity. Where will this be availabe? So much Awesome paper in one Collection. I have been wanting to get some of your paper. What a Great opportunity this is. Thank You for the chance. What a bright and adorable collection. Congratulations on #100! Someone gets my love of paper too much! Would love to craft with this! What a GREAT collection! Perfect for scrapping those pics of myself with my scrapbooking buddies! Makes me want to sit down and create! I have been eyeing this paper – love the theme and the colors. Would love to win this prize!! Love the collection! Colors are great! Congrats Photoplay on your 100th collection! I love this one celebrating our paper love! What a fun kit, would love to win this. This collections looks like so much fun! I really like the 3D cards shown! Beautiful bright collection. Thanks for the chance. Love this bright and fun collection! Thanks for the chance to win! Congratulations on your 100th collection. Love to win this one…have some happy photos with my daughter scrapbooking. I love Photoplay! The designs are always cute. Congratulations on your 100th! Congrats on your 100th collection, a great one. Would love to win this awesome prize! What a pretty collection. It would be amazing to win this – thanks for the opportunity. Great giveaway. Congratulations on 100th collection. Thank you for the opportunity to win this wonderful collection. Congrats to Photoplay! Such a vibrant, fun and happy kit! Congratulations Photoplay Paper!! What a great collection! Would be so fun to win! I especially like the stamps!!! Congrats, Photoplay. Great paper and stamps. Thanks for the chance, and Congratulations! Congrats to Phoplay! What a great set of papers and stamps for our hobby. Thanks for a chance to win. Your 100th collection! Way to go! Thank you for the chance to win some of your gorgeous product! Such cute paper! Would love the chance to play with it. thanks! You are rocking it #Photoplay ! Congratulations on 100 Collections! I look forward to celebrating 1 million collections with you! Thank you SCT for another great reason to have a party and to have a great giveaway! WE LOVE SCT!!!!! You Had me at paper is so me, I am such a paper junkie. 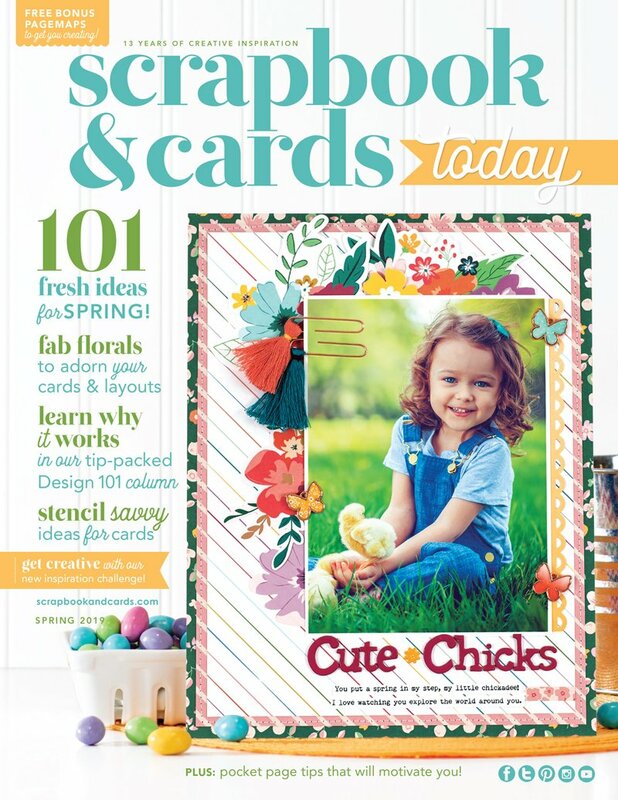 This collection is perfect for a scrapbooker like me. I can just imagine a TN using this collection highlighting my crafty side and being proud of it. Sometimes you almost feel like you need to apologise for being a scrapbooker or rationalise using your time on this craft. I’ve decided to be proud of who I am and ignore the critical people. Great scrapbook collection. Congratulations on the 100th collection. Thanks Photoplay. What a cute collection, love it! Congrats! What a give away – I would looooove to play with the amazing bright colours and patterns. Love it! Thanks for all the inspiration and the opportunity to win great prizes. Congrats to Photoplay for their 100th collection! What a perfect theme! Wat a nice paper bundle prize giveaway! Thanks for the chance to win! Would share it with my crafty bestie @craftymaker100 if I win! Thank you photoplay n congrats to your 100th celebration! I am a scrapbook addict so this collection would be perfect for me. Thanks, Photoplay Paper! What a fun collection to celebrate our love for this hobby! Would love to welcome it home with me! So many fun ideas! Thanks for the giveaway! Wow! We need these bright colors and wonderful designs in France!!! 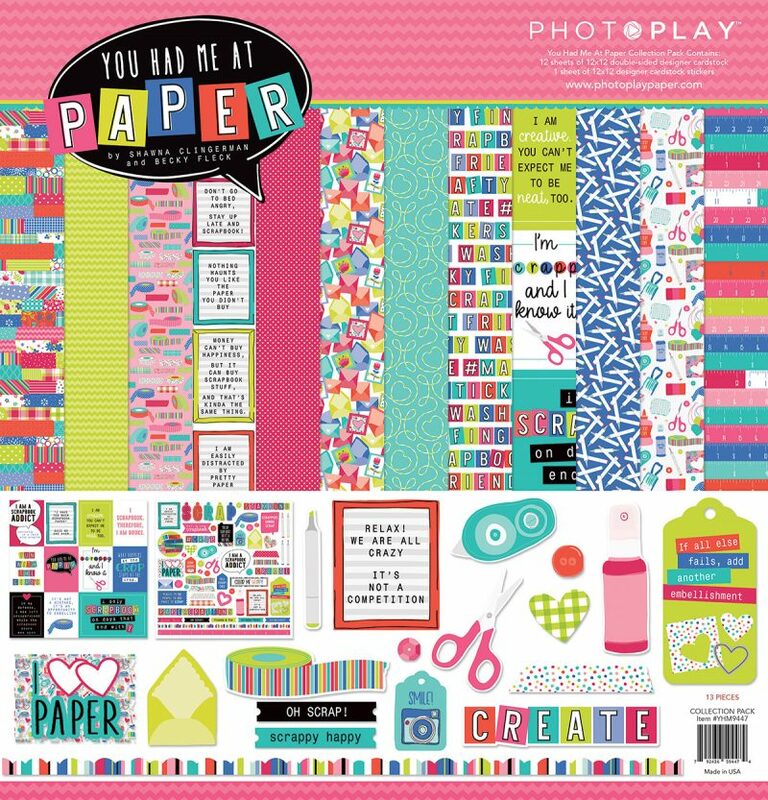 You know I must be a scrapbook addict when I tell you I have more than a few of Photoplay Paper collection and I would love to add this awesome “You Had Me at Paper” to my stash. Happy 100th collection. Congratulations Photoplay on your 100th Collection!!! Thank you for the chance to win!! I love this collection–especially the stamps and does! Thank you for the chance to win! Looks like such a fun collection – I love the cheerful colours! Love this collection, so cute! Happy milestone Photoplay! I love these colorful , playful papers! Thanks for the chance to win! What a wonderful collection! Congratulations Photoplay Paper. Now that is a fun paper collection! Congrats Photoplay paper! Thanks for the opportunity to win. Such a cute collection! The speech bubble “I AM a scrapbooking addict” describes me! I am truly loving Photoplay lately. Their paper collections are so appropriate and gorgeous! This would be a great collection to scrapbook our projects – if I can’t win it, I’ll be buying it! Congratulations to Photoplay on your 100th collection! The collection screams “happy” and “fun”. Would be exciting to win .. thank you for the chance. Congratulations on 100 … well done … can’t wait to see the next 100 😀. Congrats to Photoplay Paper on this amazing 100th collection!!! Love it! And congrats to Karen too! I love Photoplay Paper collections. This one is definitely for all us scrapaholics out there. Congrats on your 100th! How wonderful to have a collection that honors our scrappy addiction! Love it! I’d love this – thank you for the opportunity! This is such a cheerful collection! I love it! Wow! 100 collections! This one is so bright and fun and love, love, love the sentiments. Thanks for the chance to win. Congratulations on your 100th collection. It looks like it would be fun to play with! Loving Photoplay and loving this collection. It looks like a lot of fun and something that we as paper crafters could get a lot of use out of. 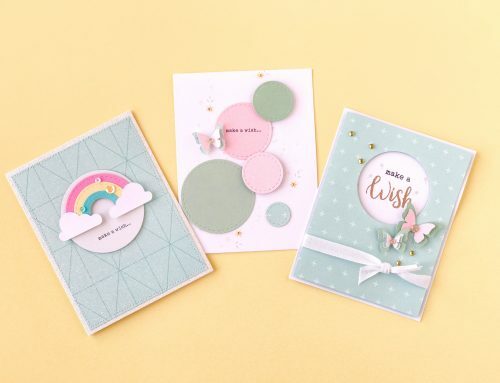 What wonderful paper and your cards are super cute. Happy 100th Collection with crafters in mind. The paper looks fun and festive and would make great layouts and cards. Thanks for the generous gift. Awesome contest, would love to win! Thanks!! Wow! I am new to discovering your company and cannot wait to explore what else you offer. Good luck w all your future endeavors. OMG! What an absolutely cute collection! How fun it would be to make paper crafting projects with this new line. These designers are so stinkin creative! Thanks for the give-a-way! Love! Love! Love! A thousand times love! I’m totally going to frame these papers and other goodies, for my craft room decor! It’s too cool to cut up. 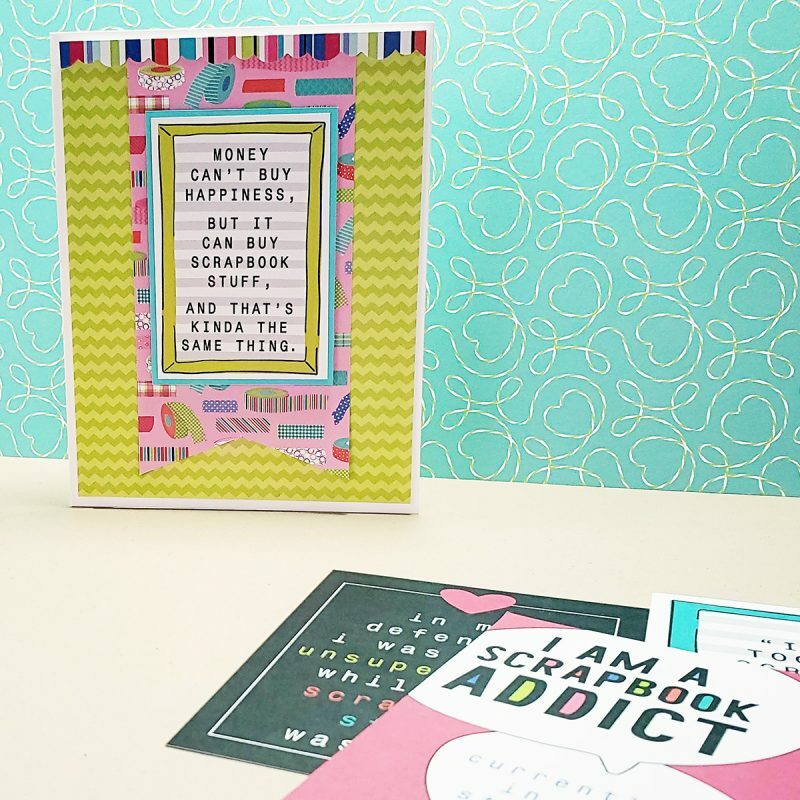 What an awesome collection… I think every scrapbooker needs this one!! Thanks for the chance to win! I love this collection! Thanks for the giveaway. The paper and sayings in this collection are wonderful, It will be fun to craft with. Awesome collection, Happy 100 Anniversary ! and Thanks for the chance to win. Congratulation on the 100 t collection.. Beautiful giveaway, thanks for the chance to win. This is such a cheerful collection – it makes me smile! Celebrate! Congratulations! Thanks for a chance to win a lovely prize! Congratulations, Photo Play, on your 100th collection. Good Luck everyone! Happy 100! Would love to win this bright and colorful set! I love this paper….it justifies my scrap addiction. yahoo for 100!!! Love all the colors with this paper! congratulations! I love your papers and stickers! Congrats on 100 great collections and here’s to you having 100 more to come! Whoohoo!! Happy 100th! Fantastic colours and a whole lot of awesome right there! Love the crafting theme and would love to work with that collection, thank you for the opportunity! What an awesome collection to be the 100th. Congrats Photo Play on 100 fabulous collections! I love the bright and fun colors. Congratulations, Photo Play on 100 collections! All of them have been fun and colorful! Best wishes for the future. When I first laid eyes on a Photo Play collection, it was love at first sight! I have purchased most of their collections because they are fun, whimsical, and on point! Thanks so much to Becky and her team for producing amazing collections that make it so much fun to do paper crafting projects! Thanks for the chance to win!!!!!!!!! Love, love, love this collection! Just so cute! Congratulations Photoplay! You are one of my favorite scrapbook companies. Happy 100th! What a fabulous paper collection! Congrats on your 100th and thanks for the giveaway! Congrats on 100. It would be great to win this. Another awesome set of cool products – Photoplay has knocked it out of the park again! Congrats on your 100th and thanks for the generous gift! Good luck to all! Congratulations Photoplay on your 💯 th collection. That is remarkable and something to truly celebrate! 🎉🎊. Such a beautiful collection with so many beautiful colours. Thank you for the chance to win it!!!! WoW! What a fun collection of paper! Photoplay has such colorful collections! Congrats on 100! Thanks for the chance to put this atop my art desk! Congrats to Photoplay Paper and thanks for the chance to win these lovely prizes. Fab samples featuring this collection. Congratulations! ….and what a wonderful prize package! Love it! Happy Birthday PhotoPlay! Thanks for the giveaway!! What a wonderful giveaway! I love Photo Play! Great COLLECTION! Congrats! What a beautiful giveaway. Happy Birthday PhotoPlay!! Loving all the collections you put out. I love love love photoplay! And this collection is wonderful! I can’t wait to see them at the Expo! I LOVE this collection! This would be amazing to win! Thank you Ohitoplay and SCT for the opportunity to win! Congratulations Happy 100 th colortastic collection.. I love all of the colors and details..I love your paper and this giveaway is AWESOME..THANKS FOR THE CHANCE TO WIN..
Photo Play Paper is one of my favorite paper brands. Plus, I can usually find it locally which is a bonus! Congratulations PPP! Love this new Photo Play collection! Congrats!!! Love it! Thanks for the opportunity to win! Awesome prize. Congratulations on 100! Photo Play Papers continue to make me want EVERY COLLECTION!!! Congratulations on your 100th! I have loved your product ever since I discovered your company with the Oh Canada collection. It’s too bad I wasn’t aware of you earlier as I missed out on so-o-o many fantastic ones. This collection is so timely for me. It’s like you knew what I wanted and created it for me. I’m really looking forward to your future creations! One can never have enough paper says no one 🙂 Thanks for the opportunity to win a fabulous giveaway. What a beautiful paper pad! Even if I don’t get the chance to win, I will certainly be buying this awesome collection! But it would be much more fun if I could win it right??? Of course! 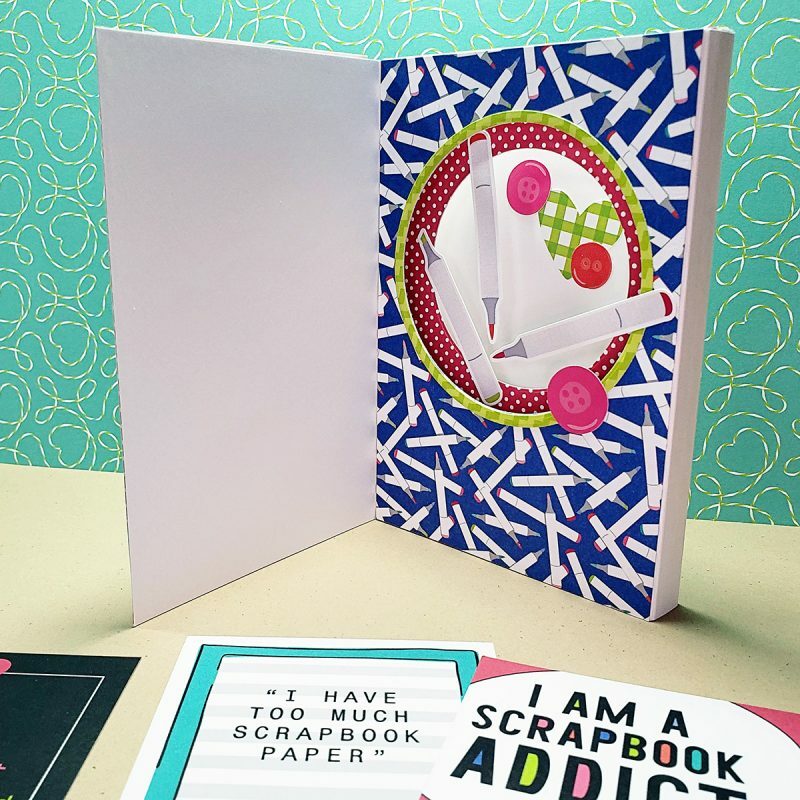 Who would not love to win something so perfect for anyone who is into paper crafting! Thank you for sharing this great contest and great collection! Would LOVE to win this!!! A girl can NEVER have enough paper!! Good going on your 100th! I would love to have a chance for this great collection. Such a great collection. Love it all! !